When you think of physical therapy, you may conceptualize the typical, insurance-based payment system where your doctor writes you a prescription and sends you to a clinic for an allotted number of visits. Depending on your insurance plan, you may have a co-pay, or you might not have physical therapy services covered at all. Paying out of pocket for physical therapy can get extremely expensive at certain clinics. Indeed, costs can range from anywhere between $80 to $400, and you may not be with the actual physical therapist for the whole treatment. Fortunately, “cash-based” physical therapy has emerged as a more popular option among physical therapists; this means they are able to spend more one-on-one time with their clients and fully utilize the skills learned in PT school and through continuing education. At Good Movement Studio in Park City, we now have three cash-based physical therapists on staff. However, individuals tend to be unaware of how the cash-based model operates. 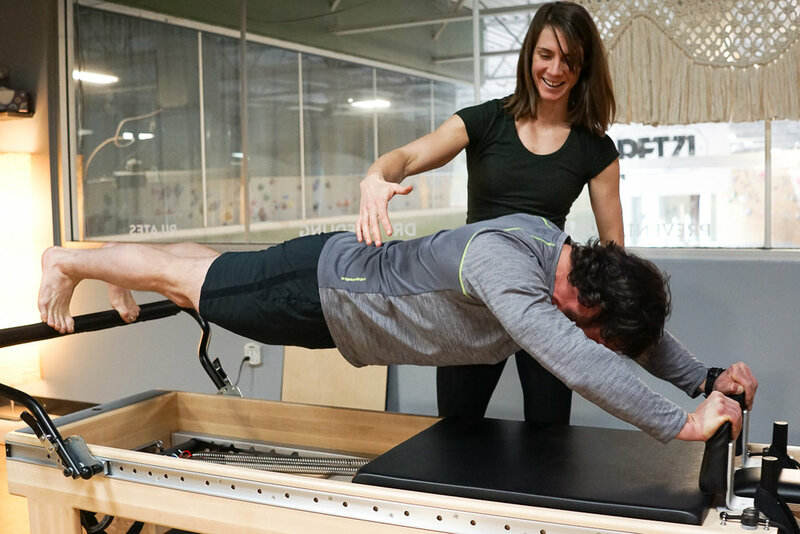 Below, we have addressed below some frequently asked questions to help you navigate your treatment plan at Good Movement Studio. Which patients are appropriate for cash-based physical therapy? The quick answer is everyone. The physical therapists at Good Movement Studio are licensed and highly-qualified to evaluate and assess clients with a multitude of ailments. We are also trained to identify “red-flags” indicating that it is imperative to send a client to other medical professionals, such as in cases of fractures, cancer, or stroke. In addition to our rigorous, doctoral education in physical therapy, we have advanced training in manual therapy, dry needling, women’s health, and vestibular rehabilitation. Moreover, we have enhanced our observational skills through a Pilates curriculum. In short, we can accommodate your needs unless we believe our skillset is inappropriate for your situation. Do I need to see a Medical Doctor before seeing a physical therapist? Luckily, Utah is a direct access state for physical therapists; this means that a patient has the freedom to see whichever physical therapist they prefer without a script from a physician. This system allows a physical therapist to practice autonomously without having to follow a certain protocol or worry about what insurance will cover. However, despite Utah's direct access, some insurance companies still require a doctor's referral. Thus, if you are planning to use your insurance for your PT visits at Good Movement Studio, we recommend that you check with your insurance company first. The physical therapists at Good Movement Studio are all considered “out-of-network” providers. Although we do not bill insurance directly, we can compile a claim form for you to submit to your insurance company for reimbursement; it is the client’s responsibility to determine their out-of-network benefits. In my experience, I have seen reimbursement rates range from 30% to 80% or the totals will count towards the client’s deductible. Clients are, by law, required to pay for physical therapy before a claim form will be compiled for them. The physical therapists at Good Movement Studio do not accept Medicare and cannot, by law, provide physical therapy services to Medicare-eligible individuals. We can, however, provide services not covered by Medicare to Medicare-eligible clients, including wellness, fitness, and sports-enhancement programs. If you are Medicare-eligible and would like to find out if you are an appropriate client, please call Good Movement Studio at (435) 901-9442. Can I use my HSA (health savings account) or FSA (flexed spending account) card? What if I don’t want to deal with my insurance company? Not a problem! You’ll just be required to pay the physical therapist’s fee through credit card, cash or check. This is ultimately the way most clients end up paying for visits as they recognize the quality of care that is being offered. We also offer packages as a way to save a bit of money so if you and your physical therapist believe you’ll need multiple visits, be sure to inquire about these. The beauty of cash-based physical therapy is you, as a consumer, get to decide if the treatment you received was of quality and whether you will schedule again. As physical therapists, we have the opportunity to truly listen to clients, evaluate and assess thoroughly, and decide what kind of treatment will provide the maximum benefit. If you have any questions about the process of participating in physical therapy at Good Movement Studio, please feel free to email me at sandyvojik@gmail.com.